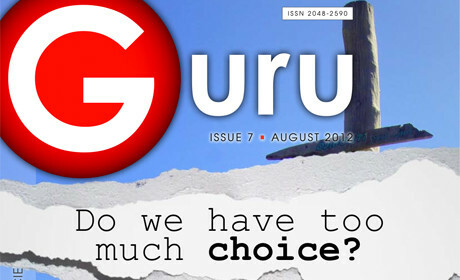 Guru Magazine, a digital-only science publication which launched around 18 months ago, is to receive £12,000 in funding from the Wellcome Trust to help it launch a new interactive mobile app. The magazine, which is available to view on the Kindle, iPad and iPhone, as well as on PC/Macs, was set up in June last year by Dr Stuart Farrimond, Ben Veal and Sarah Joy. According to a release Guru Magazine "is a digital-only publication that fills the niche between science and lifestyle magazine journalism". With the new funding in place, the magazine will now work with firm Realistic Digital to develop an interactive mobile app, "tightly integrated with opportunities for discussion and social media". The app will be available via Apple Newsstand and Google Play by the launch of the magazine's ninth edition in December, Veal told Journalism.co.uk. 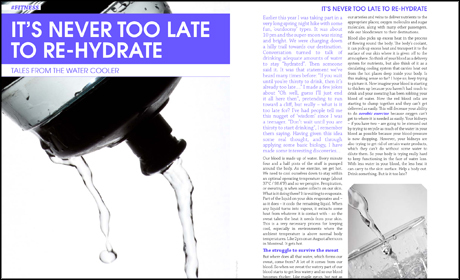 He said the idea for the magazine followed the success of Dr Farrimond's Doctor Stu science blog, where he had a "really good way of communicating complex information in a very easy to understand, and interesting way", Veal said. "Me and him got chatting about whether or not there was mileage to actually turn that into a magazine and whether there was an appetite for that, and we felt there was because when you look around at the competition there's not really many magazines that do that." He added: "What we try to do, and what we tried to do from the start, is basically create a magazine that would have an element that would be interesting for anyone." The magazine is divided into sections such as technology, media, art, food, science, psychology and current world events. The idea is to make the content accessible, Veal says, so links are provided to enable readers to delve deeper into research if they wish. The team crowdsource writers for the magazine from social media and professional groups. It is hoped that the introduction of the app will help spread the word, and the team can look "at really pushing the advertising side" as a result, Veal said. "The key part of us is to see whether we can get revenue in and obviously as and when we do we'll look at obviously remunerating our writers as well, because without the writers we wouldn't have a magazine." While the funding will largely be used to get the app built and also support some marketing and PR, Veal said the backing "more than anything is just really good national recognition". "It's a validation of what we're doing as well because it's all very well having the magazine as a small team, telling people about your vision and what you're trying to do, but to have a body as big as the Wellcome Trust, actually saying 'we agree with what their doing and we want to help them promote it', that's really encouraging for us to be honest." The latest statistics for the magazine show around 50 to 60,000 downloads over the last year, according to Veal, as well as more than 100,000 website visits. It is hoped the new app will reach new audiences and speed up their experience. "Without an app its just a longer-winded process. You can download the version for your iPad, you can look at that in iBooks on your iPhone, but it takes time and obviously people need to know you exist. "Whereas with the app people are going to find us." So you want to be a science journalist?